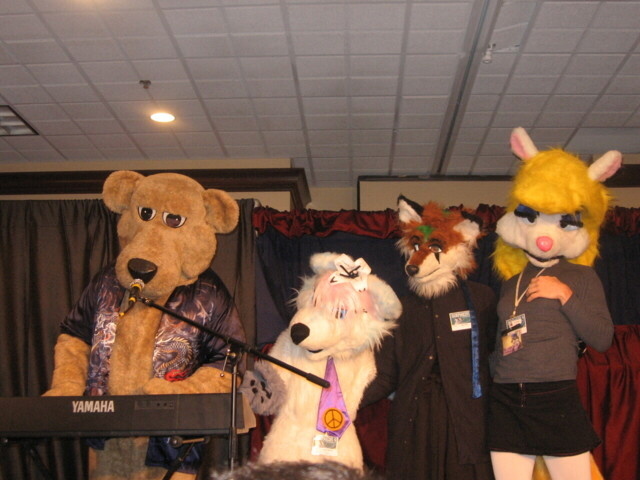 The convention began unpromisingly, with local Bunny Findra being lost by Anthropomorphic Airlines. Fortunately they found and delivered her only three hours or so late. This was much better than the time when my cousin Phoobia was lost by the airline, and had to spend a week in the Lost Passengers Depot, living on little packets of peanuts and miniature cans of soda. 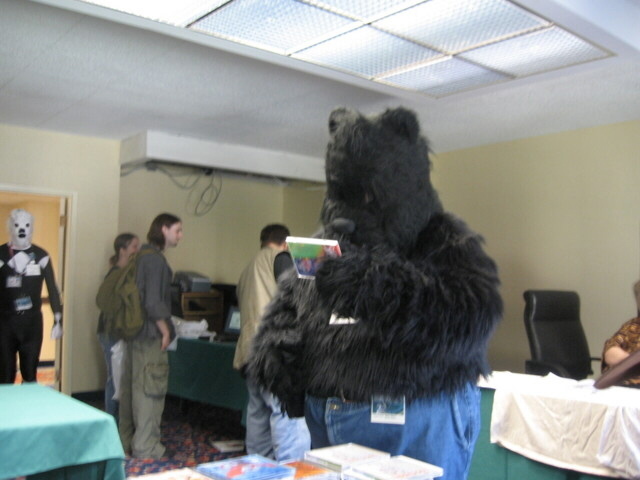 Local Bear Ba'ar was found to be in attendance. He spoke to the Lemur, but seems not to remember it. Vixie provided free pizza for everyone at her Pizza Party. She also provided free speeches with the pizza. Ex-local Vixen Butterscotch arrived at the Dogmobile Depot. The Lemur went to get her. The Dogmobile company lost her also, but not as badly as the airline lost Findra. Dinner with Vixie and Findra. The merits of drunken puppetry are debated. Later that evening Vixie puts on a show. Outing with local Bunny Findra and local Creature of Mystery, Dael. We had lunch, and went for a hike, before I had to return Findra to Anthropomorphic Airlines. 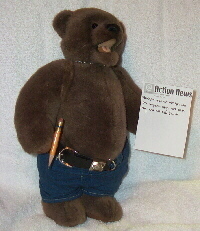 Kefan, local centaur, told @Action News of an unexpected guest he and his room mate, Cirrus entertained. 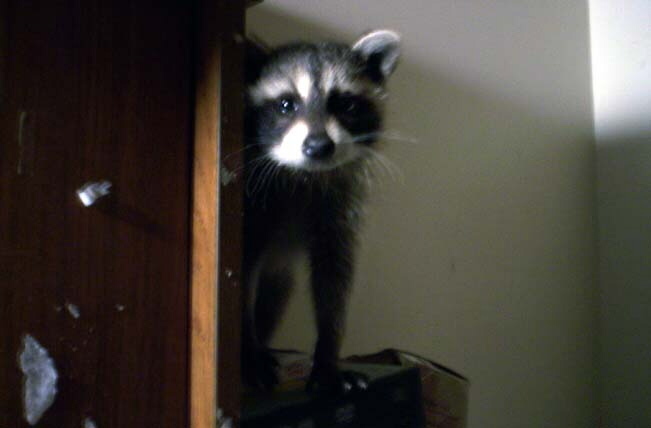 Kefan said, "There was a whole family of raccoons in the attic, and this guy fell through the access panel. My roommate saw the other three looking down through the opening... but they never came down themselves, and eventually left. I haven't heard the faintest skittering upstairs, so I think they've abandoned the place. This was definitely a young one. Cirrus said at least one of the ones that was looking down looked like an adult, so I suppose that would've been mama." The young raccoon had obviously never met a centaur before. As the pictures show he was quite relaxed and comfortable with Kefan and Cirrus, who isn't a centaur, but is a fox kit and as nice to juvenile raccoons as Kefan. 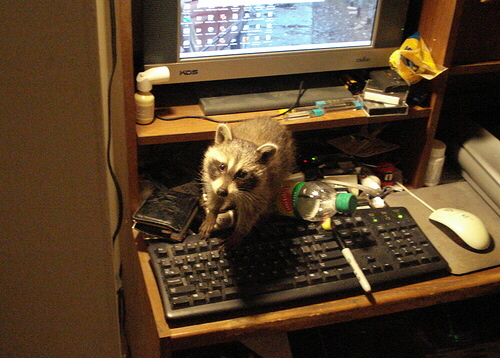 Once out of the attic, the little raccon first went to the computer to check his e-mail, then as shown in this picture, he explored the place a bit. Kefan said, "He really was too cute for words. And he kept making this adorable chrring sound." After exploring around the house, and making a futile search for shinies, the little masked visitor found a warm spot on top of the computer and took a nap. It was obvious that the raccoon had no fear of Kefan and Cirrus. ""I mean, it's one thing to have a wild animal come into your bedroom," Kefan said, "It's another thing *entirely* for it to become relaxed enough to doze off." . Most folks find centaurs to be easy to get along with and seem to feel at ease around them. As this was a young raccoon, he had probably never seen either a centaur or a fox kit so he wasn't threatened by either. Of course Kefan and Cirrus would never hurt anyone, and they treated the little raccoon with respect. Once he woke up from his nap, Kefan prepared to take him outside. "I bundled him up in some heavy rags and took him outside where he belonged. He chittered a little irritably at that, but really didn't fuss overmuch." Kefan said that the raccon let him pet him and was quite the entertaining guest providing a proper introduction to Cirrus' plans for the evening. "Cirrus had *just* got a Mutual of Omaha's Wild Kingdom DVD set out from the library," noted Kefan. Kefan later told us, "A happy ending to the tale of the raccoon kit who dropped in... he actually stayed by the building, and one of the downstairs tenants took him to the local wild animal rescue. They will make sure he's healthy, and when he's ready to fend for himself, will release him back to the wild." 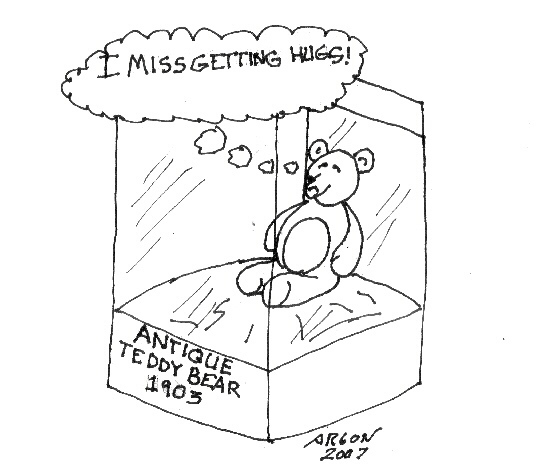 Nyni, local unicorn mermaid, has expressed sympathy towards the antique teddy bear's plight in last weeks @Action News cartoon. The little mermaid's sadness at the teddy bear's lack of companionship and hugs, was noticed by Morticon, local wallaby, and one or two others. He decided that it was Argon's fault that Nyni was sad, and decided revenge should be taken against the centaur. He was able to convince one or two folks to follow him in getting revenge. There was even a "raging mob" supply stand opening up. Apparently the agitated group was preparing to raid the artist, Argon, local centaur's, home. 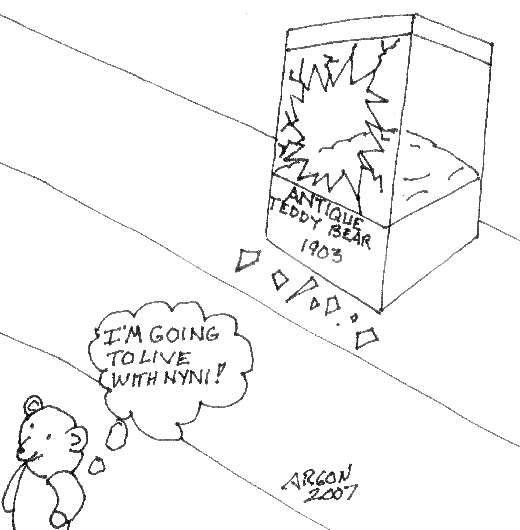 How this action would console Nyni's sadness over the teddy bear is unknown. As the group prepared their raid, the centaur who was the object of the attention of this "mob" arrived in the Rose Garden. Before Argon could say a word, Morticon, who seemed to be the "leader" of the mob, made it clear that the object of their displeasure, Argon, had arrived. This stirred up his mob who began to prepare for their raid. As Argon was right there, it would seem a "raid" wasn't needed, but nonetheless, they began lighting their pitchforks and brandishing their torches. Argon pointed out that they had it backwards, that they should light the torches and brandish the pitchforks. After getting his "mob" riled up, Morticon retreated and without his "leadership" the mob dispersed and Argon chatted with his friends. Nyni seemed to realise that it was just a drawing, but Argon thought it was sweet that she would be worried about the concept of teddy bears who might be lonely. He smiled as she realised this and gave her a snug. It is hoped that she will enjoy the cartoon this week. Ba'ar, local bear, went out of town this weekend to attend "Vixiecon", a convention honoring uber-diva and all-around-good-gal-fox Vixie. The experience, it seems was a positive one. The entry fee was modest (all it took was a bag of coffee or fine chocolates to get in) and the pizza and soda provided by the convention was filling and tasty, In addition, there was the excitement caused by Vixie herself. "For me the highlight of the con was seeing Vixie talk about her life experiences and show off her talents." Ba'ar, local bruin, is quoted as saying. "I didn't know that she was a good singer and dancer!" 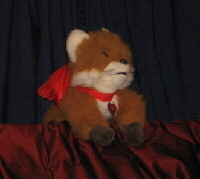 Awed by this talented performer, the bruin already has plans to attend Vixiecon next year. Patch O'Black, local Jellicle cat, held a "Patch Convention" or JellicleCon this week. 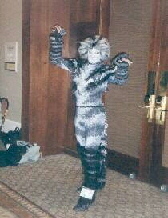 His hope was to have all the folks interested in "Jellicleness" come to his con and enjoy singing and dancing. 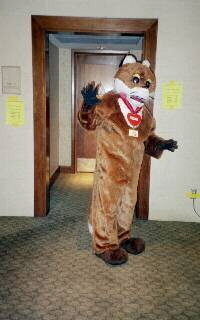 Patch had convention souvenirs, activities, workshops, special interest groups and even a silent auction for charity. Although attendence was light, there were folks at the con all week. Patch did a fine job of organizing things and solving problems from his cat basket in the Rose Garden. As Morphicon had been the weekend before, Patch's timing was perfect as folks were still in the "convention" mode. 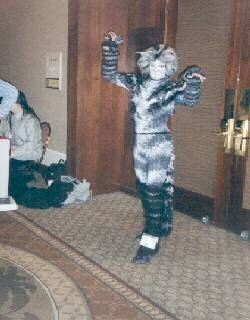 The Jellicle cat's event, although somewhat light in attendence and participation, was judged a reasonable success. 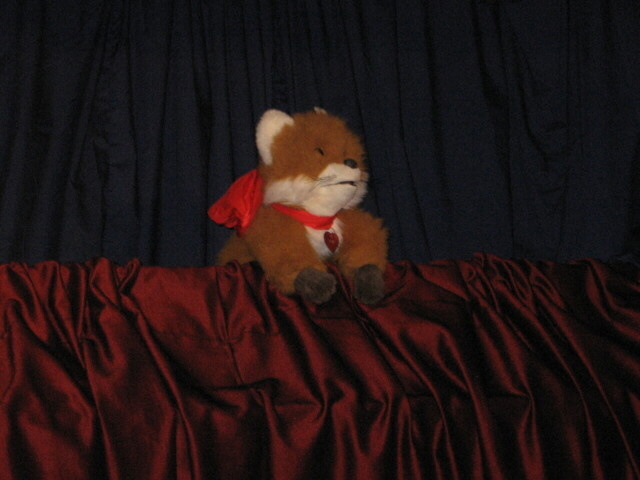 It was noted that no one missed the attendance of Vixie, local vixen, at Jellicle Con. As puppetry and fursuit acts were not a primary aspect of the Con, it wasn't Vixie's cup of tea. Hopefully next year's JellicleCon, will include some puppetry, puppet and fursuit actors, and more centaur materials and events. Ray Vote for the New Seven Wonders of the World! 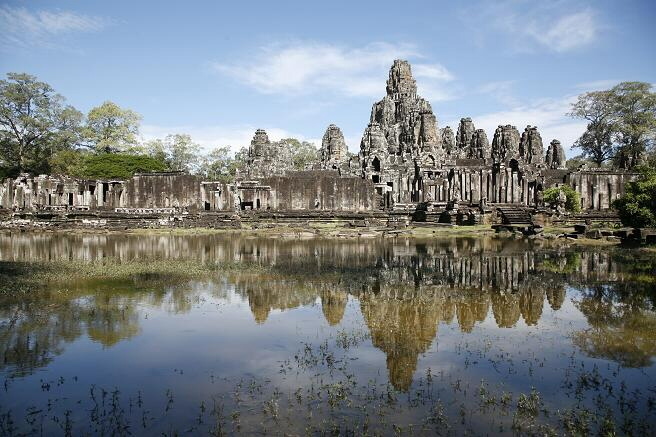 Vote for the New Seven Wonders of the World! Just go to, http://www.new7wonders.com/index.php where you can vote once for free online by registering. The voting ends in about 46 days. You cannot vote for the Pyramids of Egypt, as they have (sensibly enough) already been made Honorary Wonders. Thus, you can still vote for the full seven other candidates. Each one has a picture, as well as a detailed description. 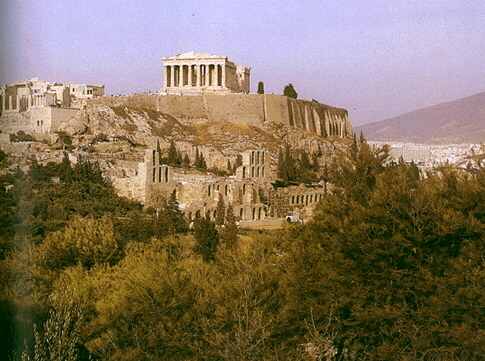 The Acropolis. Greece ought not to be left off the list, this go-round, anyway; they had more than one of the Ancient Wonders. Easter Island Statues. 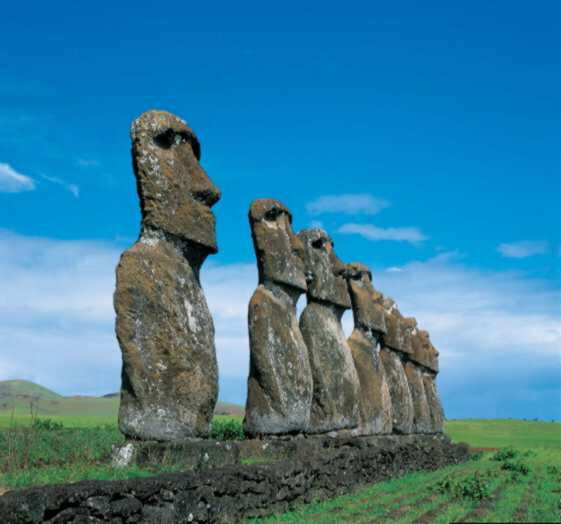 The many Moai of Rapa Nui represent the collective accomplishment of a nearly-vanished people at the height of their civilization. 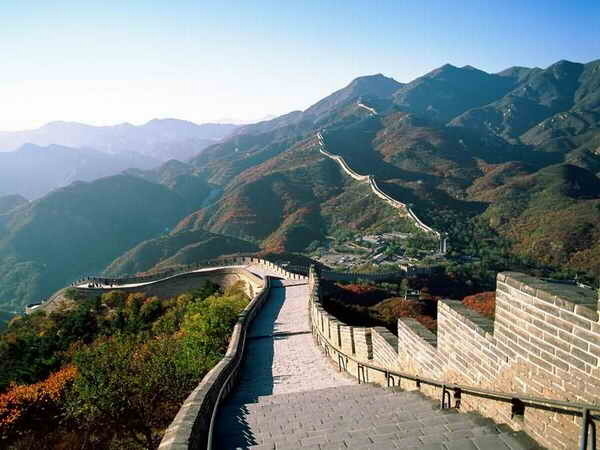 The Great Wall of China. The only single Wonder visible unaided from space. 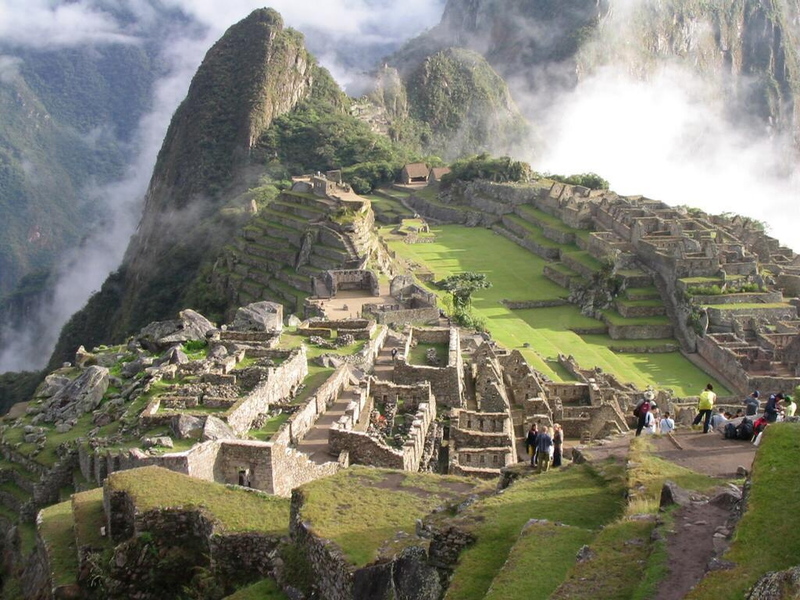 Machu Picchu. This Inca city in Peru is not only amazing in its scale and scope, but, also, in its placement in practically inaccessible mountaintops, and, in its technical accomplishment, with mortarless stonework whose precision defies one's expectations of a low-tech civilization. 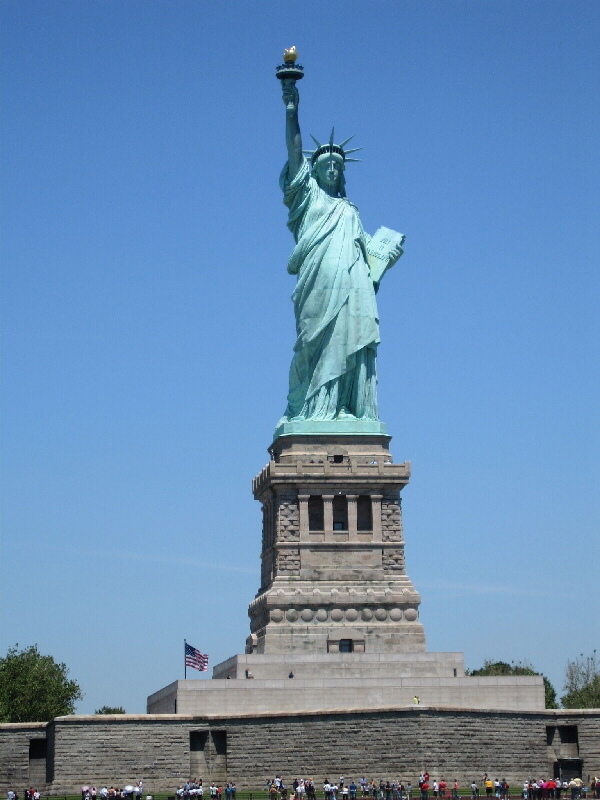 The Statue of Liberty. This was a tough choice, considering how relatively modern it is. I made this selection based on the historical impact and meaning of the Statue; it is universally recognized, and, if I may display a little American chauvinism, represents what is great about its home, which, itself, might be considered a Wonder of modern times. 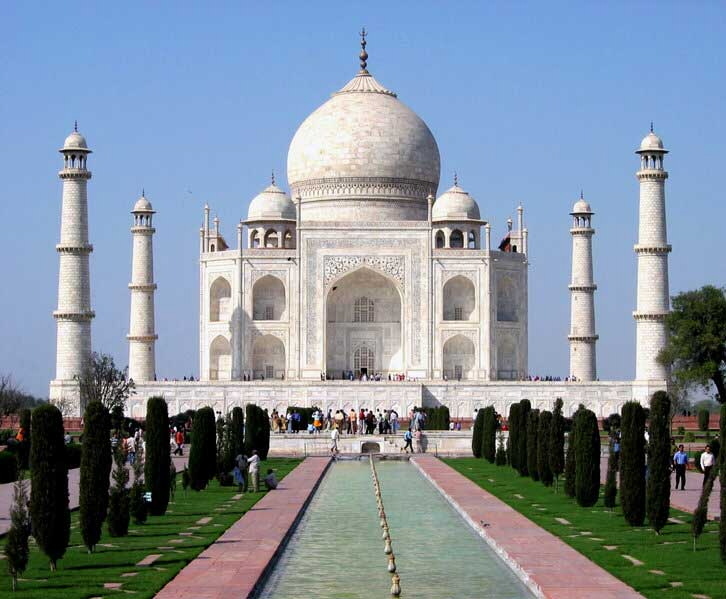 The Taj Mahal. The tomb of a Mughal King and his bride, this monument is also universally recognizable, representing beauty and devotion. Get the vote out! Be a part of history! Q: Why did the chef drill a peephole in the fridge? Q: So he could watch the salad dressing. Q: Wat do you call a bowl of venus flytraps? Q: How did the cabbage press describe the picnic preparations? Q: Why did Turnip Scaivo's family decide to uproot her? Q: She was in a persistent animative state. Q: What did the bunny get his sweetheart when he proposed? Q: A 24 carrot ring. Q: Why was the German Shepherd in the tomato patch? Hey there, Ba'ar here! I'm back and ready for your latest Spindizzy @Action News Survey. If there was a 'furry airline', what unique services would it offer? Argon says, "To have room for 'oversized' passengers such as centaurs, dragons and bears." Tottle says, "A furry airline should offer tail-friendly seats and VR goggles for folks who can't stand small, crowded spaces." Than ummmmms... thinks for a moment... "ThannyAir would offer free extra soft plushies instead'a pillows!" Jaxen says foxily, "How about pillow chairs, on the plane?" DTF ponders "Hm.... well, I'd imagine a special restroom with room so your tail doesn't get a blue-water dunking. Moolooite says, "Hm... I don't think I can think of an answer that is PG and won't scar you for life." Borris Gruffs, "Not being Eaten"
Austin says, "The chance for canines to open their windows and poke their heads out." Christie giggle, "Definitly scritchies -- an prolly groomin' too! ('least in first class!)" Nyni cutely says, "Good food hopefully? And fur groomings?" 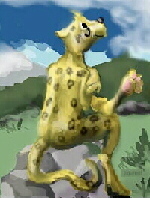 Kefan says, "Why... 'taur-ist class, of course!" Wren says, "Turn in 100 thousand frequent flyer miles, get genetically modified into a furry of your choice." Gilead chirps, "I think most important, they'd have to have a pressurized area of the cargo hold for all the crates people ship their humans in." Tzolkin mews, "Guh, I dunno. A place with colder temps for those of us who have thick fur?" Ba'ar says, "Free entertainment courtesy of Vixie." PatchO'Black mews, "Fur-st Class Seating!" Ceredwyn says, "I think a furry airline would offer a fur grooming aside from the usual drinks and snacks."